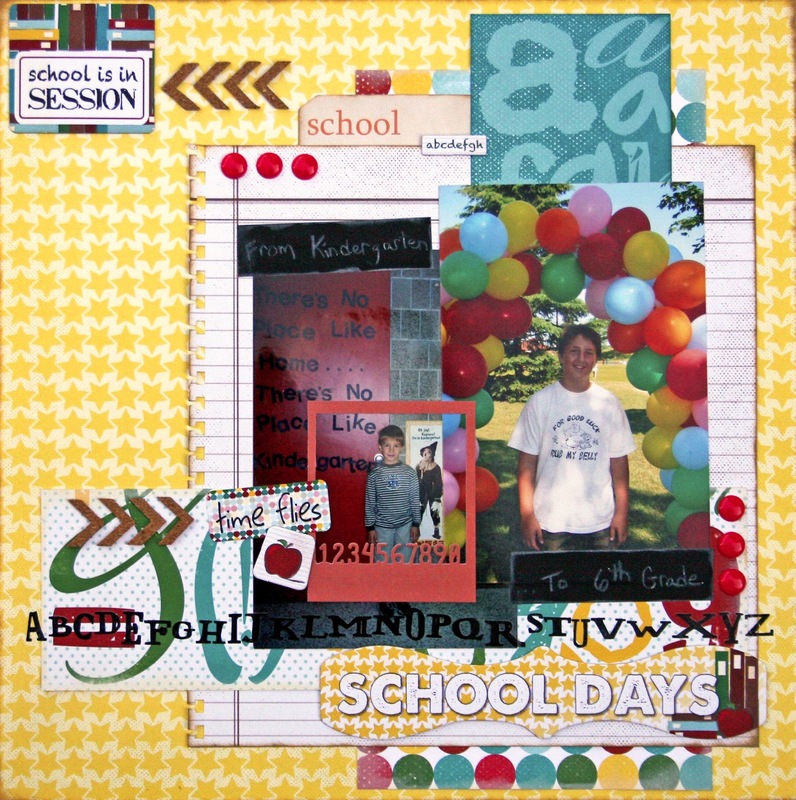 Blog Quick Quotes: School is in Session with Marcia! School is in Session with Marcia! Hello Quick Quotes friends! Can you believe its August already! That means that school will be starting soon. Are you doing your Back to School shopping yet? 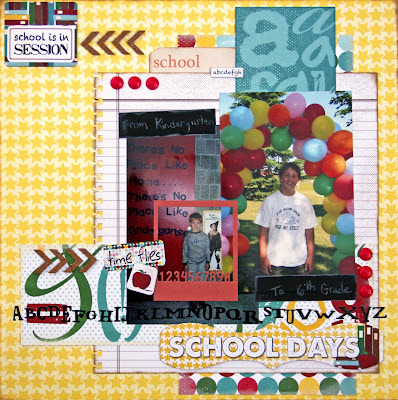 Marcia here today with a school layout I created with Quick Quotes newest collection Pattern Perfect. I am loving the bright colors and patterns in this collection. 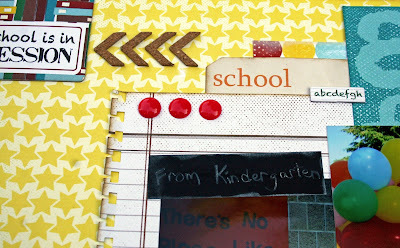 They are perfect for preschool ages as well as for your high schoolers. I found these pictures of my son at the beginning of Kindergarten and another one of him at the end of 6th grade. I thought it would be fun to scrap them together on a page to show how much he has grown. This collection has some really fun chipboard pieces and coordinating stickers. 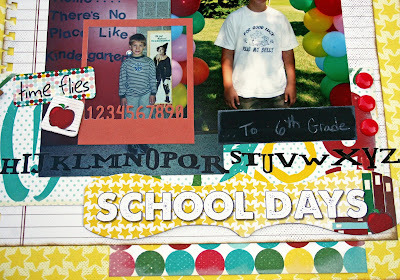 Check out the School Days title and apple. So stock up on this new collection while your back to school shopping!! Great idea for a LO!